Show up for class. There are no prerequisites. Have descriptions for all of the techniques in the list of Yawara written in a notebook in the medium of your choosing. Have descriptions for the rolls and falls; forward roll, back roll, judo roll, spear roll, face fall, back fall, bridge fall, side fall, kneeling straightover, standing straighover and no-handed straightover. Be able to demonstrate all of the techniques in the list of Yawara. Know some of the names of the Professors of the American Judo and Jujitsu Federation. 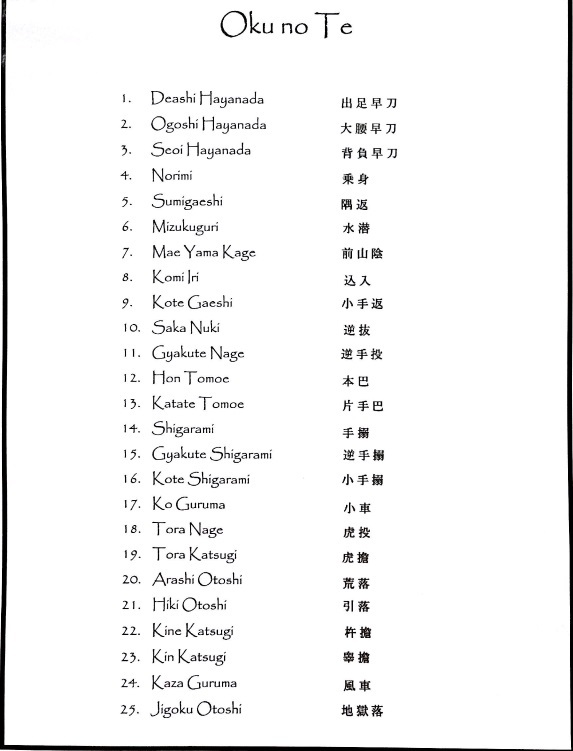 Know when the Davis Ju-Do Kai was founded and by whom. Know the names of the founders of the American Judo and Jujitsu Federation. Know why you like doing jujitsu. Know what "All the world smiles in the same language." means to you in the context of Yawara. Have descriptions for all of the techniques in the list of Nage Te written in your notebook. Be able to demonstrate all of the techniques in the lists of Yawara and Nage Te. Know more of the names of the Professors of the American Judo and Jujitsu Federation. Be able to trace your lineage back to Master Okazaki. Know what "If you can't go through, go around." means to you in the context of Nage. Know the terms: kuzushi, tsukuri, and kake. Take part in an American Judo and Jujitsu Federation sanctioned context. Have descriptions for all of the techniques in the list of Shime no Te and the basic techniques of Kappo written in your notebook. Be able to demonstrate all of the techniques in the lists of Yawara, Nage Te, Shime no Te, and Kappo. 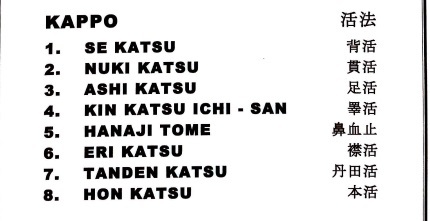 Know the succession of the senseis of the Davis Ju-Do Kai since its inception. Know what "It doesn't matter if the cat is black or white, as long as it catches rats." means to you in the context of Shime. Take part in an AJJF sanctioned contest. 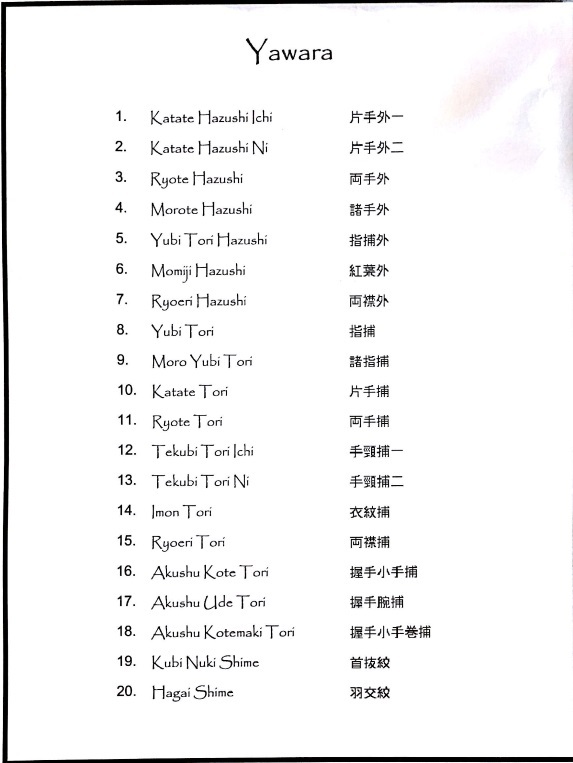 Have descriptions for uke's part for all of the techniques in the list of Oku no Te, and for tori's part for all of the techniques in the lists of Tanto no Maki and Tanju no Maki written in your notebook. 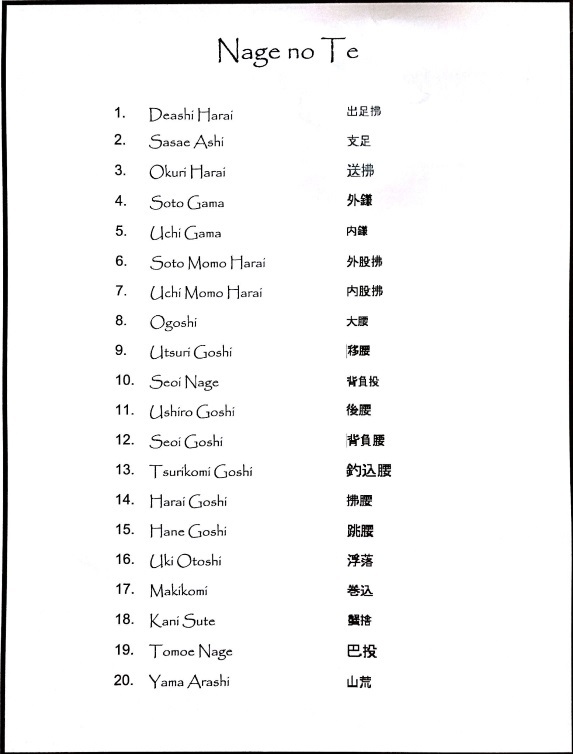 Be able to demonstrate all of the techniques in the lists of Yawara, Nage Te, Shime no Te, Kappo, Tanto no Maki, Tanju no Maki, and uke's part for all of the techniques in the list of Oku no Te. Be able to recite or paraphrase four lines from Master Okazaki's Esoteric Principles. Know what the symbols and letters on the shield for the AJJF mean. Know what "Bend and you will be whole." means to you in the context of Oku no Te. Take part in an additional AJJF sanctioned event. Have descriptions for all of the techniques in the lists of Oku no te, and Goshin Jitsu written in your notebook. 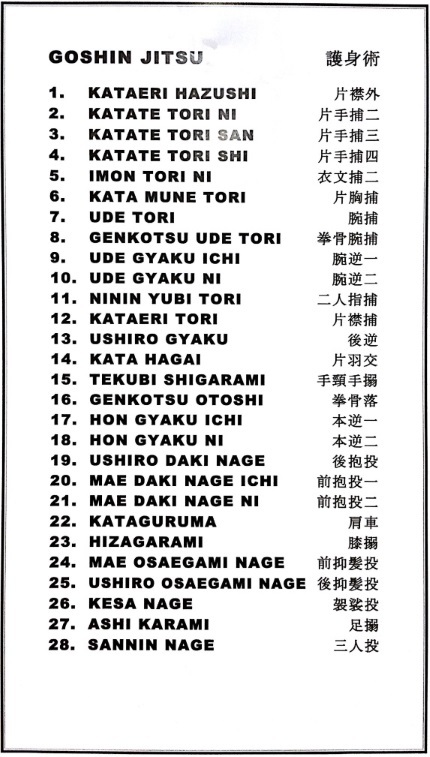 Be able to demonstrate all of the techniques in the lists of Yawara, Nage Te, Shime no Te, Kappo, Oku no Te, Goshin Jitsu, Tanto no Maki, and Tanju no Maki. Be able to recite or paraphrase Master Okazaki's Esoteric Principles. Know what "Do your work and then retire." means to you in the context of Goshin Jitsu. Take part in at least two AJJF sanctioned events during the year. 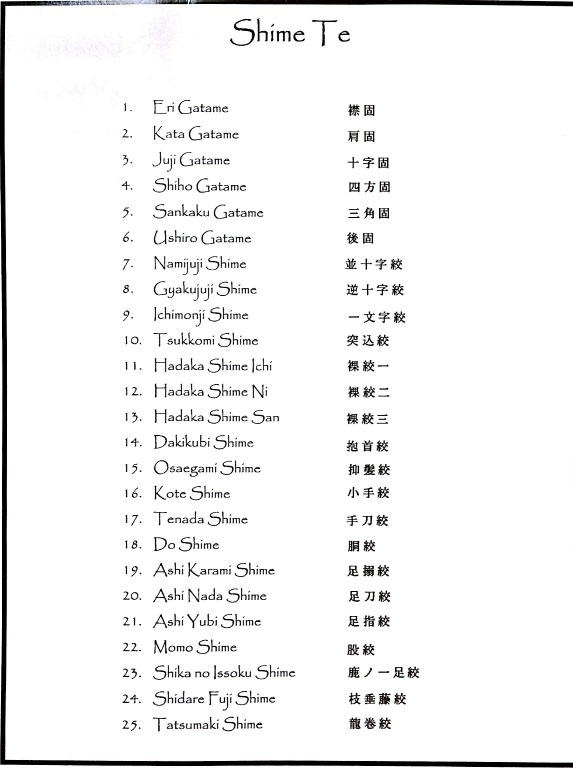 Have descriptions for all of the techniques in the lists of Atemi, Uke Te, Keri Te, and the first ten techniques of Shinnin no Maki written in your notebook. Run through the list of Kiai no Maki at least once. Be able to demonstrate all of the techniques in the lists of Yawara, Nage Te, Shime no Te, Oku no Te, goshin Jitsu, Tanto no Maki, Tanju no Maki, Atemi, Uke Te, Keri Te, Kiai no Maki, Kappo, and the first ten techniques of Shinnin no Maki with reasonable competence and confidence. Be able to trace the lineages of the senseis of the Davis Ju-do Kai. Have an idea of what shin, zanshin, fudoshin, and mushin mean to you. Do all the requirements for the AJJF Shodan exam.